Originally conceived as an expansion to 2007's action role-playing game, developer Reality Pump's follow-up has evolved into a completely reworked sequel featuring a custom-designed graphics engine and an assortment of new features. The setting takes place in the eastern part of Antaloor, a region featuring deserts, jungles, swamps, and other potentially dangerous locales. Once again players can either journey across the lands to fulfill a main quest or simply explore the monster-infested regions on their own, picking up side quests along the way. 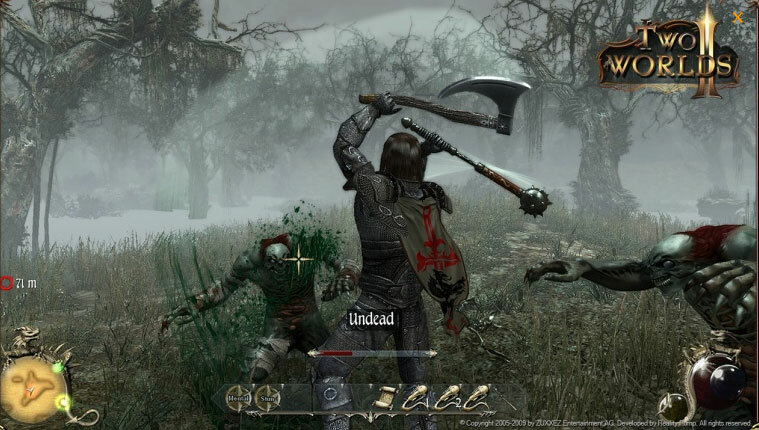 Among the improvements to the original game include a more streamlined real-time combat system, revamped horseback riding, interactive environments, and a crafting mechanic that allows characters to forge their own weapons and equipment.